Culture trip or language class? We have both together! No better place to visit this Hawthorn Excursion as the Lunar New Year approaches – yes, our Hawthorn English students are off to Chinatown! With the Lunar New Year decorations up and plenty of sights to take in, our students had more opportunities to learn new nouns, adjectives and practicing conversational skills with classmates and even stall owners! 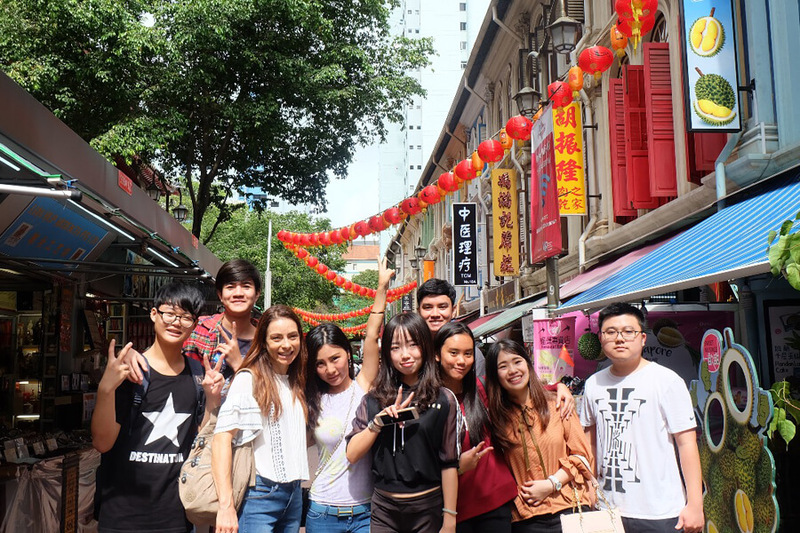 Students also dropped by the Chinatown Heritage Centre and the Buddha Tooth Relic Temple and Museum for a peek into Chinese culture and history. At Hawthorn English, our teachers enjoy organsing excursions for students, as we believe it is more effective to learn with curiosity. You might be surprised that students are more encouraged to speak up when they are brought out of a classroom setting, and it instills confidence in them after a day’s of practice. Click here to find out more about our Hawthorn English programmes!